I grew up in a museum. As long as I can remember, I spent every summer in a summer camp at the Palm Springs Art Museum. In middle school I joined their teen afterschool program, and I even went on to become a camp counselor one summer in high school. At that time, it was the Desert Museum and they had a fantastic summer camp that focused on science, theater, and art. We staged our performances in the famous Annenberg Theater. We would hike up the San Jacinto Mountain and learn about wildlife and desert life. We made our own Alexander Calder-inspired mobiles, and learned basic color theory. My absolute favorite part – going into the galleries to talk about / draw interpretations of amazing works of art. I’m still enchanted by Llyn Foulkes’ The Last Outpost. I loved being able to roam through the museum, knowing its nooks and crannies and inner workings (or at least know what was actually behind the “authorized personnel only” doors). As a kid, I wanted to be an artist – so I felt comfortable in the museum context, but I never knew who the gatekeepers were. Those illusive curators – the ones who made it all happen – the ones who put up works like Foulkes’ that inspired me so. Next to the security guards who literally held the keys to the door, I always thought it was the curators who ran the show. My first interaction with a curator came years later at my first job (and current job at the Balboa Park Online Collaborative) in Balboa Park. I was at The San Diego Museum of Art to film an ArtStop and I met Dr. John Marciari. His words so elegant. His knowledge so vast. Meeting him made me feel like a kid again – my younger self would have been so proud! Now as I’ve come to work in museums, I’ve learned, that despite what curators may think, there are many more people involved in getting art on the walls. 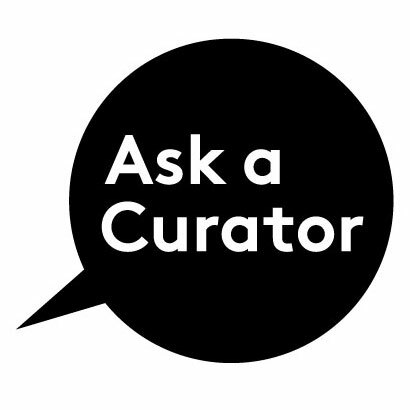 However there is still something to be said about ‘Ask a Curator Day’ – it pulls the curtain back to reveal the wizard(s) working behind the scenes. I realize this can be scary, but what it truly reveals is the human element of the museum. For many, museums have this desire or historical reputation to put up a front of being the ivory palace where you look but don’t touch. However in the age of 3D printing and touch interactives (I’m looking at the developers and my colleagues at BPOC! ), that’s all changing. 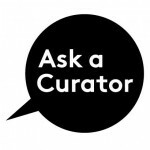 The great thing about ‘Ask a Curator Day’ is that guests get to see that there are people that make up the institution who shape the institution. Some people gush over celebrities. Some people gush over artists, and the few odd ones like me (ok, not so few) who gush over museums will be thrilled to talk to curator. At the very least, it’s an opportunity to teach someone about a role that they didn’t truly understand. 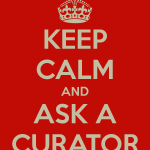 At best, you make someone’s day and gain a new follower, who will then talk about the great experience they had with the curator and by extension the institution. There are so many great stories that people want to share – the first time they saw a work by Llyn Foulkes, the first time they learned color theory in a museum camp, or the fact that they learned what Pointillism is thanks to that scene in Ferris Bueller’s Day Off. To be able to connect with someone on a personal level over those issues is special for everyone involved. 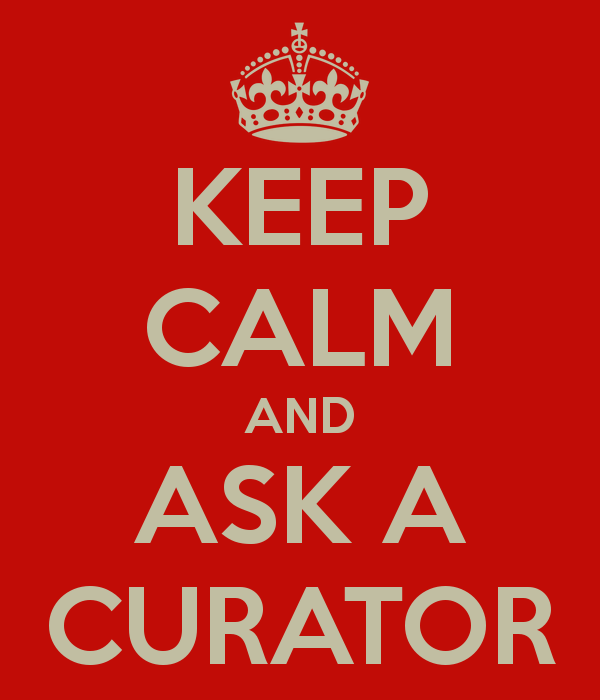 So while ‘Ask a Curator Day’ is a great opportunity for the museum to make deeper connections with its followers, don’t take yourself too seriously and realize that you too could be inspired by what you hear when you remove the curtain between you and your followers.